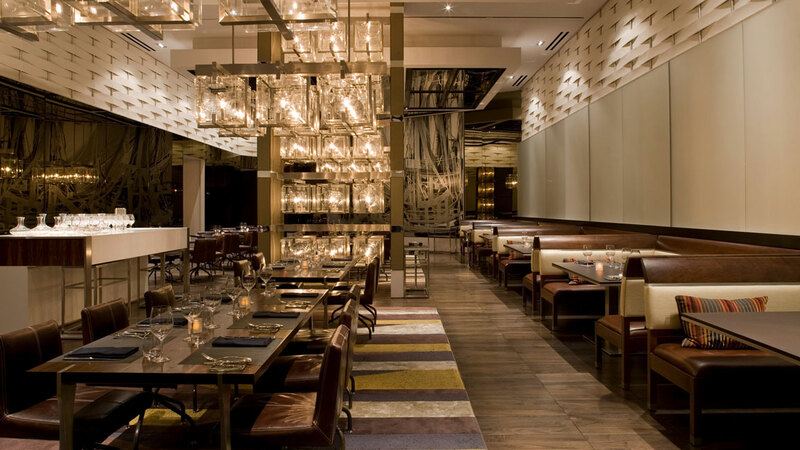 In a coveted culinary destination at The Palazzo, Las Vegas, ¼ inch thick strips of Natura felt are installed throughout the space to provide textural custom wall design plus acoustic treatment. 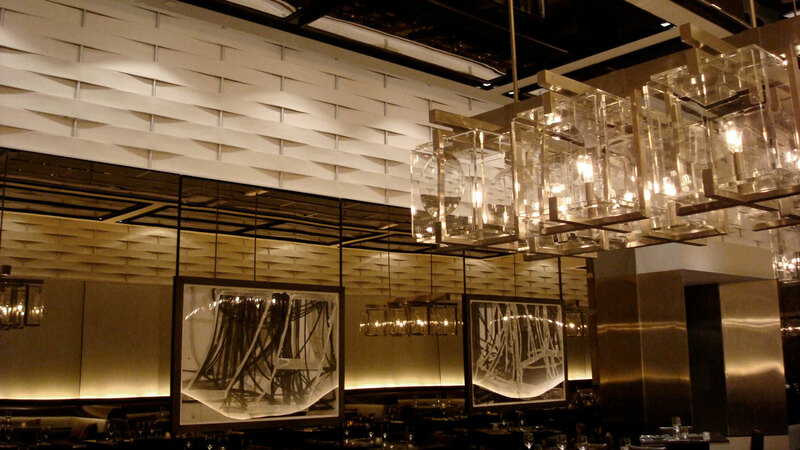 A contemporary palette of wood, leather upholstery, steel, off-white walls, and undyed wool felt wall covering evokes warmth and luxury in this high-end steakhouse. The custom wall covering features 6 inch wide felt panels interwoven to form a structure reminiscent of pasture fencing.